Disclaimer: This post is in NO WAY to justify “Bad Cops” but is intended to educate “Non Cops” about the life of a law enforcement officer from the eyes of a retired police officer. Publicly embrace the Good Cop. Thank them for their service. Demonstrate support for the Good Cop as much and as often as you voice public distain for the Bad Cop. No job is perfect at weeding out the “Bad” before employment is granted. In the United States, fortunately for us, Good Cops are estimated to outnumber the Bad Cops by about twenty to one. This means that at least five percent of cops nationwide are “dirty”. No public employment is the same as the employment of Police Officers either: Not teachers, preachers, house painters, plumbers, bookkeepers, accountants, doctors, florists, researchers, stock brokers, firefighters, sanitation collectors, pharmacist, etc. Unfortunately, if there are “Good Cops” then there are also “Bad Cops”. Law enforcement is no different then any other public forms of employment; there will always be some keystone cops, some “robo-cops”, and some good cops. Bad Cops feed his or her ego upon the fear they receive or generate from the average citizen. The job of law enforcement is different then all the other public job opportunities known (military not included). 1. Law enforcement officers are seen as authority figures and people treat them differently, even when they are not working. 2. 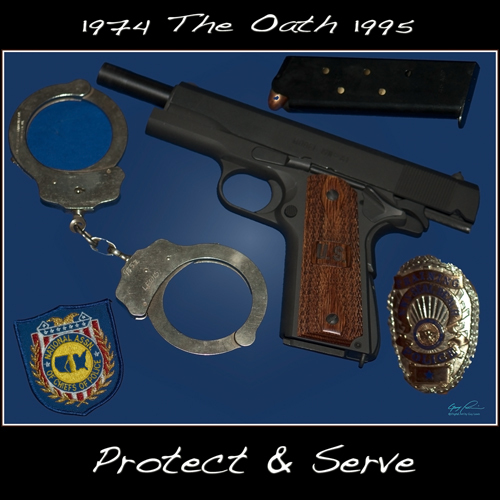 Law enforcement officers wearing of a badge, uniform, and gun separates them in society. This segregation leads to many psychological issues that numerous studies have shown can create negative personality traits. 3. Law enforcement officers “at work” world is very negative. They see the bad part of society: The criminal, the abuser of the rules. This can, over time, skew the officer’s opinions on the character of the average human being. It can and often does create a cynicism, a critical view of the world. It is hard the officer’s to adjust to trusting fellow human beings when so much of their day is spent with people who are not trustworthy. It is hard to believe in positive intentions of people, when the day is spent with people who are intending to hurt others. Over time, this lack of trust can show up in the way the officer deals with people on a personal level, with neighbors, with a spouse. 5. Law enforcement officers have a job that requires extreme restraint under all emotional circumstances. They are trained to always be in control and in charge of any given situation. The emotional constraint of this takes tremendous mental energy, much more energy than expressing true emotions and often leads to emotional breakdowns over time. 6. Law enforcement has no gray areas. The law enforcement officer works in a fact-based world with everything compared to written law. Right and wrong is determined by a standard. Again, publicly embrace the Good Cop. Thank them for their service. Demonstrate support for the Good Cop as much and as often as you voice public distain for the Bad Cop. Please respond and provide references so that your answers can be verified.